Corrugated Plastic style signs are the most popular option with marketing campaigns due to several reasons including: turnaround time, price, ease of install, and durability. 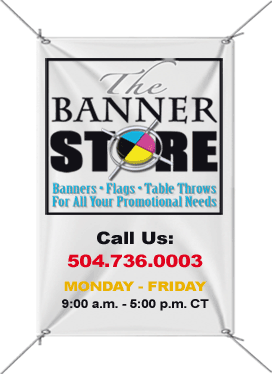 Printed on premium 4mil Centralplas corrugated plastic in vibrant spot or digital colors. Rush production begins the day after approval of art. UV Cured inks for outdoor durability. 18″x24″ – Full Color – QTY 1-25 $12.50 ea. 24″x36″ – 1 Color – QTY 1-25 $0.00 ea. 24″x36” – 2 Color – QTY 1-25 $0.0 ea. 24″x36″ – Full Color- QTY 1-25 $0.0 ea. 24″x48” – 1 Color – QTY 1-25 $0.0 ea. 24″x48″ – 2 Color- QTY 1-25 $0.0 ea. 24″x48″– Full Color – QTY 1-25 $0.0 ea. 24″x96″ – 1 Color- QTY 1-25 $0.0 ea. 24″x96″ – 2 Color- QTY 1-25 $0.0 ea. 24″x96″ – Full Color- QTY 1-25 $0.0 ea. 48″x32″ – 1 Color- QTY 1-25 $0.0 ea. 48″x32″ – 2 Color- QTY 1-25 $0.0 ea. 48″x32″ – Full Color- QTY 1-25 $0.0 ea. 48″x36″ – 1 Color- QTY 1-25 $0.0 ea. 48″x36″ – 2 Color- QTY 1-25 $0.0 ea. 48″x36″ – Full Color- QTY 1-25 $0.0 ea. 48″x48″ – 1 Color- QTY 1-25 $0.0 ea. 48″x48″ – 2 Color- QTY 1-25 $0.0 ea. 48″x48″ – Full Color- QTY 1-25 $0.0 ea. 48″x72″ – 1 Color- QTY 1-25 $0.0 ea. 48″x72″ – 2 Color- QTY 1-25 $0.0 ea. 48″x72″ – Full Color- QTY 1-25 $0.0 ea. 48″x96″ – 1 Color- QTY 1-25 $0.0 ea. 48″x96″ – 2 Color- QTY 1-25 $0.0 ea. 48″x96″ – Full Color- QTY 1-25 $0.0 ea.